Out West where I come from, there are many Jewish communities that are small, and can’t afford their own building. When that’s the case, the community’s first choice is usually to find a Unitarian Universalist church to sublet space from. Why the Unitarians? One answer to this question comes from an unlikely source: The Rev. A. Powell Davies (1902-1957). In 1944, he gave the following sermon at his church. Substitute the word “church” for “synagogue,” and I think he captured a crucial contemporary sentiment of liberal Judaism completely! In his eloquent speech, the Rev. Davies gives several reasons for coming together to davven (pray). Do we pray because God needs us to? No. We pray because WE need to. Let me tell you why I come to church. I come to church—and would whether I was a preacher or not—because I fall below my own standards and need to be constantly brought back to them. It is not enough that I should think about the world and its problems at the level of a newspaper report or a magazine discussion. It could too soon become too low a level. I must have my conscience sharpened—sharpened until it goads me to the most thorough and responsible thinking of which I am capable. I must feel again the love I owe my fellow men (and women). I must not only hear about it but feel it. In church, I do. I need to be reminded that there are things I must do in the world—unselfish things, things undertaken at the level of idealism. Workaday enthusiasms are not enough. They wear out too soon. I want to experience human nature at its best—and be reminded of its highest possibilities, and this happens to me in church. It may seem as though the same things could be found in solitude, but it does not easily happen so. In a congregation we share each other’s spiritual needs and reinforce each other. In some ways, the soul is never lonelier than in a church service. That is certainly true of a pulpit, for a pulpit is the most intimately lonely place in the world—yet it is a loneliness that has strength in it. Perhaps this is because the innermost solitude of the human heart is in some paradoxical way a thing that can be shared—that must be shared—if the spirit of God is to find a full entrance into it. We meet each other as friends and neighbors anywhere and everywhere, but we seldom do so in the consciousness of our souls’ deepest yearnings. But in church we do—in a way that protects us from all that is intrusive, yet leaves us knowing that we all have the same yearning, the same spiritual loneliness, the same need of assurance and faith and hope. We are brought together at the highest level possible. We are not merely an audience, we are a congregation. I doubt whether I could stand the thought of the cruelty and misery of the present world unless I could know, through an experience that renewed itself over and over again, that at the heart of life there is assurance, that I can hold an ultimate belief that all is well. And this happens in church. Life must have its sacred moments and its holy places. The soul will always seek its nurture. For religious experience—which is life at its most intense, life at its best—is something we cannot do without. Source: from “On Going to Church” by Rev. A. Powell Davies, as reprinted in Without Apology: Collected Meditations on Liberal Religion by A. Powell Davies edited by the Rev. Dr. Forrest Church. Where’s a Good Yenta When You Need One!? No need to sulk; The Matchmaker Rabbi is in! To see Joysa’s columns for Jdate, visit here. Her forthcoming book on dating in Jewish suburbia is being represented by Red Sofa Literary Agency. 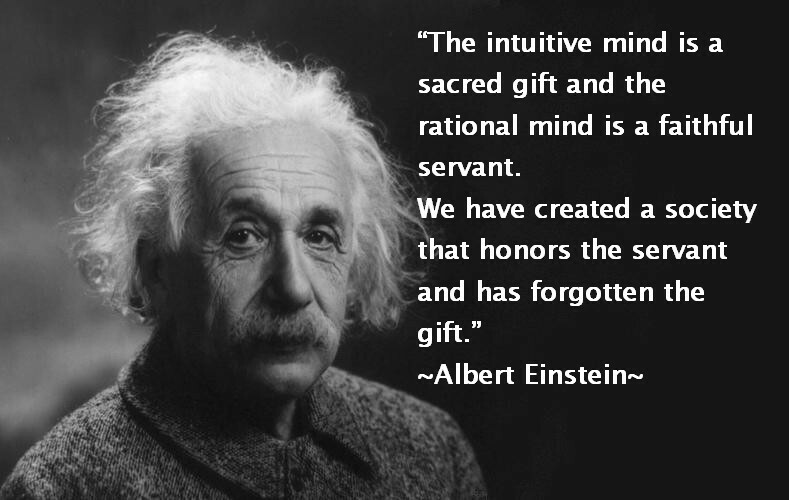 I’ve had the pleasure in recent weeks of doing a lot of reading about Albert Einstein. He has always been one of my foremost Jewish heroes, and learning more about his life and words has only emboldened this sentiment. One of the common refrains in his writings is the importance of striving for a life of humility, curiosity and wonder. It is, I think, such an inspiring recipe for meaning! I had the pleasure — and at times Not So Much Pleasure — of thinking a great deal about these big Life Questions a few months ago, during a long hospital stay with my pregnancy. For five weeks, I shuffled up and down the maternity ward of Bryn Mawr Hospital, contemplating the little life that was overly anxious to come into this world. What would I say at my son’s bris, if I could dare plan so far ahead? What kind of world was I bringing him into, anyway? What was, without doubt, one of the most trying experiences of my life also gave me an awesome opportunity — the opportunity to see just how many other people in my religious community obviously embrace Einstein’s values. These were people who extended themselves, adding to their own burden in order to ease mine. People who saw “service to the community” as one of their highest life values. This service came in so many ways: cards and phone calls, food deliveries and babysitting offers. I could try to recount them all, but with a healthy little newborn in my lap, I blessedly don’t have the time. In a day and age when synagogue and church membership rolls are lagging, it is experiences like this that remind me of just why it is we create these institutions to begin with. We create them to stay connected. What you or I or anyone thinks when we hear that word “God” doesn’t, to me, really matter. What matters is that by linking our lives with each other, we transcend our finite existence and become closer to liberation from the self. The lovingkindness so many people demonstrated to me in the past three months has helped me do that, and for that, I am grateful.